It is now early spring, which means that if you have not already made arrangements for your summer vacation, it is high time to do it! 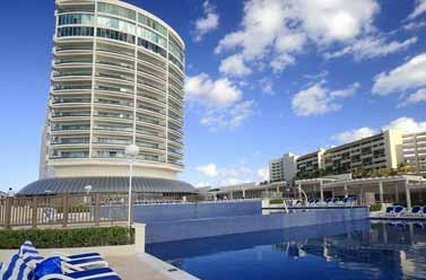 You can find here a 3 nights Cancun vacation starting from $699 per person with all-inclusive service and round trip flight included. As you can see, the offer is on sale and you can save as much as 30% off the average rates of this Mexico vacation package. Or you can also choose Puerto Vallarta as your destination, for another 3 nights vacation package, also with all inclusive service at the resort. Which one do you prefer? If you want a really good Mexico vacation deal, than it would be time to decide and book an offer before all the best ones are gone! If your choice falls on the Cancun vacation, you should know that you will get everything you need. The package includes 3 nights stay at the Great Parnassus Family Resort with all inclusive service, airfare from Denver to Cancun and back with Alaska Airlines plus taxes. The Great Parnassus Family Resort also offers some pretty good extras: your children who are 12 years old or younger will stay, play and eat for free at the hotel. The resort has got lots of family friendly amenities, private beach, restaurants and lots of activities. You might also be interested in checking out other Cancun getaways or cheap vacation packages from other parts of Mexico or even the Caribbean. Select some travel sites and add the travel dates that you want and with just one click you will be able to find and compare many similar deals.